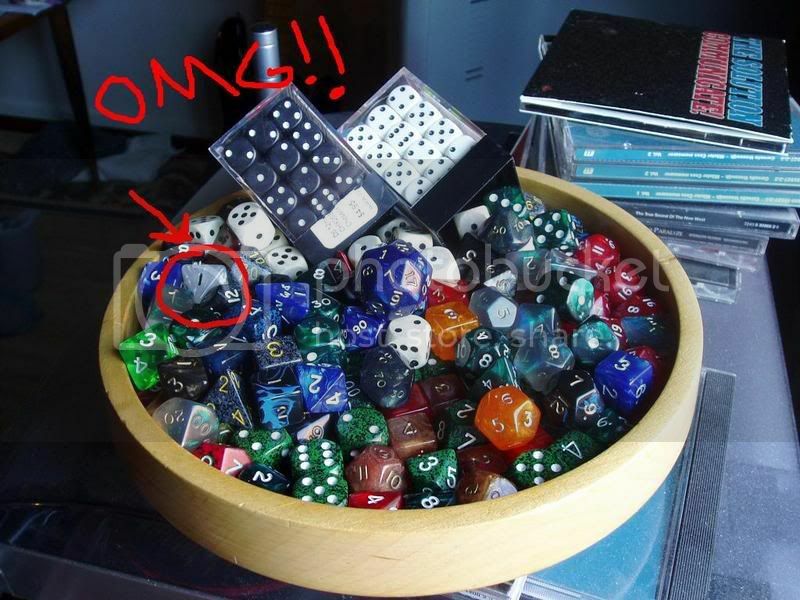 Anyone have any nifty dice they want to show off, or just pictures of their dice collection? My relic dice. They were given to me by a friend in my gaming group before I moved away. They're one year older than I am. 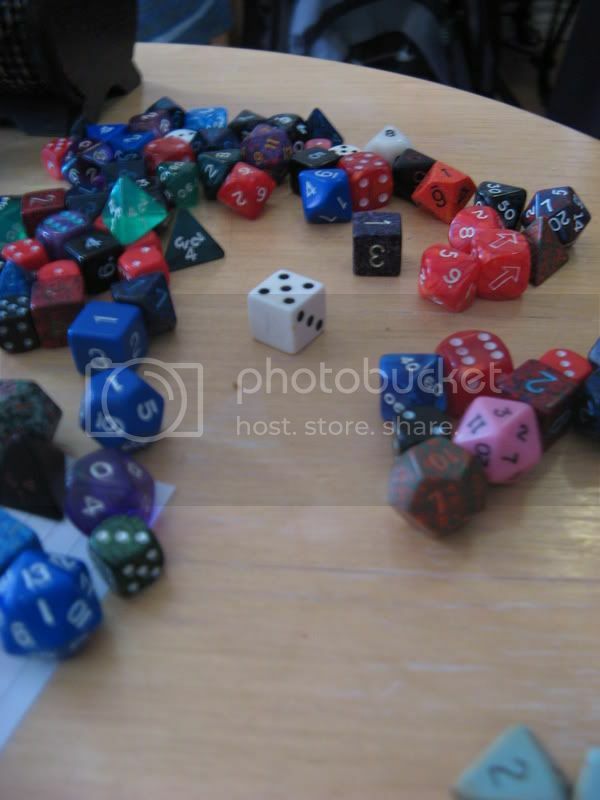 And just some more of my regular dice, spread out for a game of D&D yesterday. That central D6 actually has a skull where the 1 should be, but it was inked on so it's faded over the years. Everything in a bunch. The white d8 is marked out because it wasn't mine. Accidentally got it home after some session and then spotted it in the picture after taking it; at the time I did't have any set in the color. It has been safely returned. 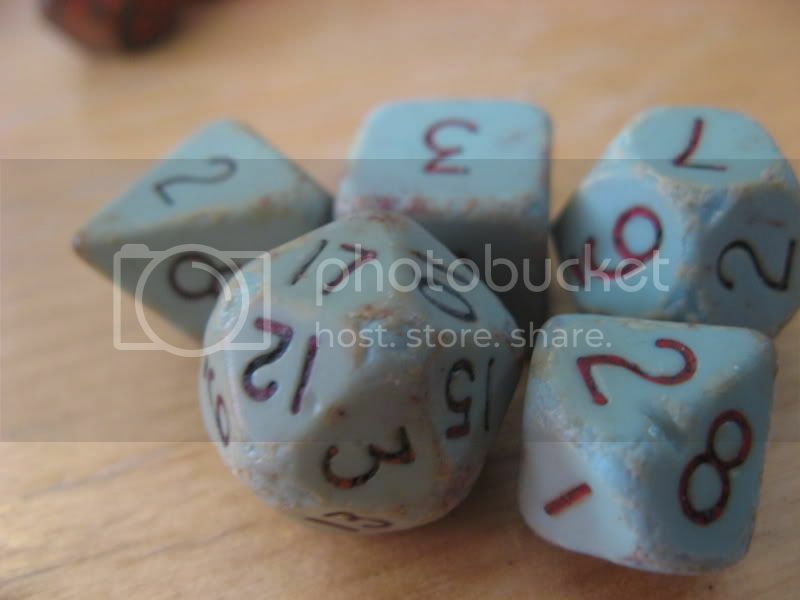 16mm Opal dice set, which I use for our Horror on the Orient Express audio game. Those are gorgeous. I also really like the photo. 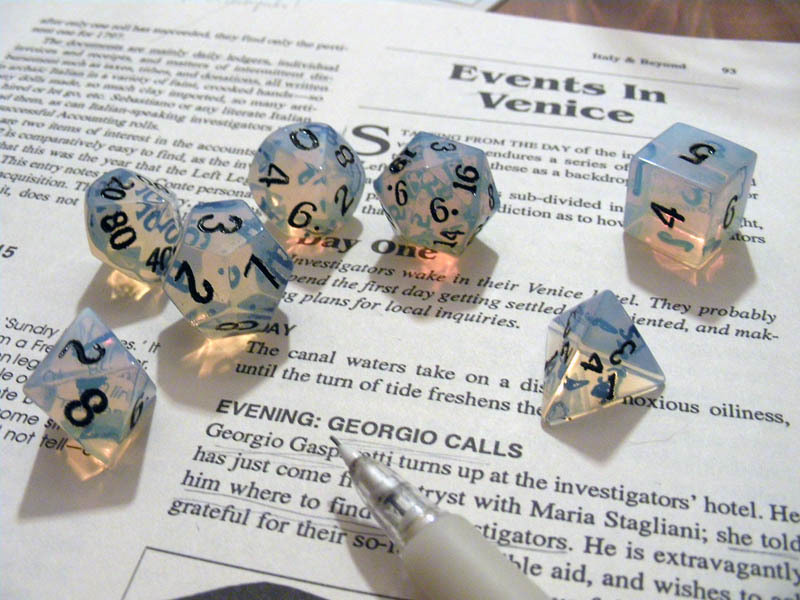 Hand forged steel dice, 'the table destroyers'. 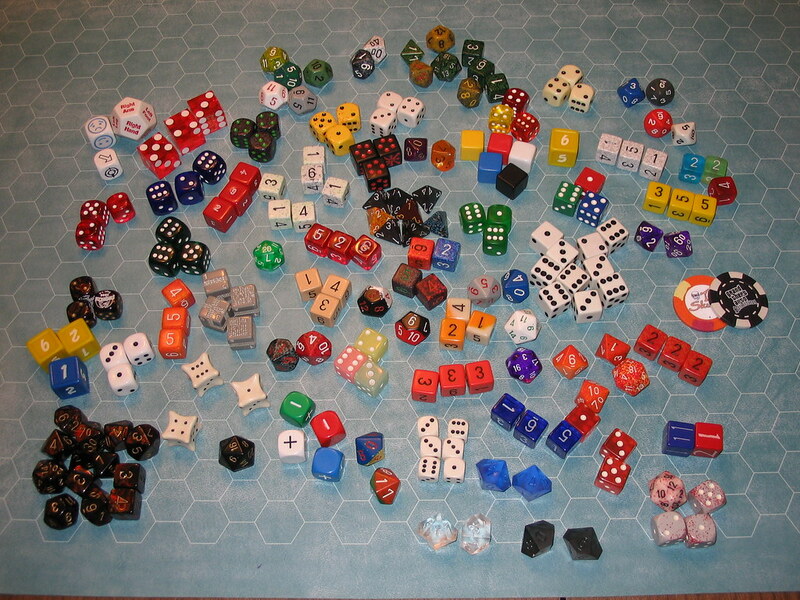 While I've picked up a few additional boxes of dice, here's the most recent picture sans those new ones. Edit: The white ones next to the red box glow in the dark and the four dice next to the blue one were sold as a bracelet as was described in Andre Norton's Quag Keep. A chainmail dice bag I made from two kits many years ago. This is the set I carry to conventions.